What a delicious combination! Your little boy looks adorable enjoying every bite =). the mint was a great idea! wish i'd thought of it. Aw, sorry I didn't lighten this up. I can, I just wanted to stick with Dorie's original recipe this time. I love your long title. I was going to say that as soon as I read the title, then you mentioned it in your first sentence. Very descriptive. I cannot imagine not having chocolate. Thanks for churning along with me this week! 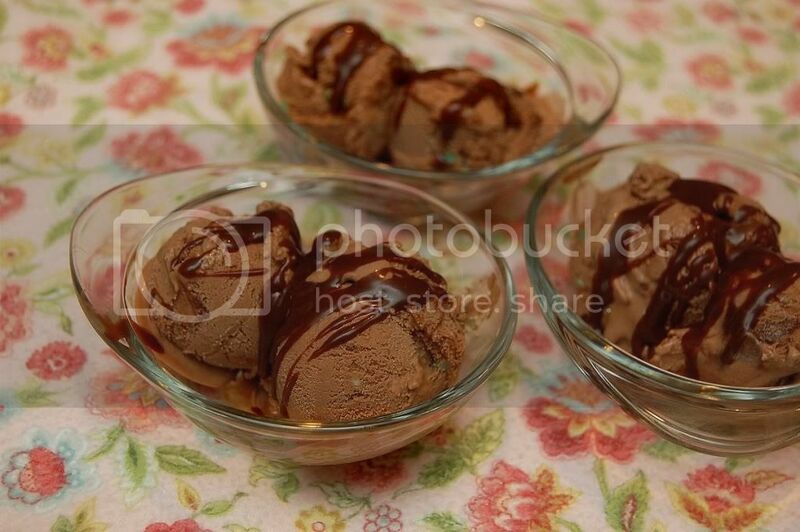 Yum - homemade fudge sauce! This recipe does seem like a good one to play with. I kept it plain this time but there are so many possibilities! I love your additions. I make a fudge sauce also but I would like to try yours. 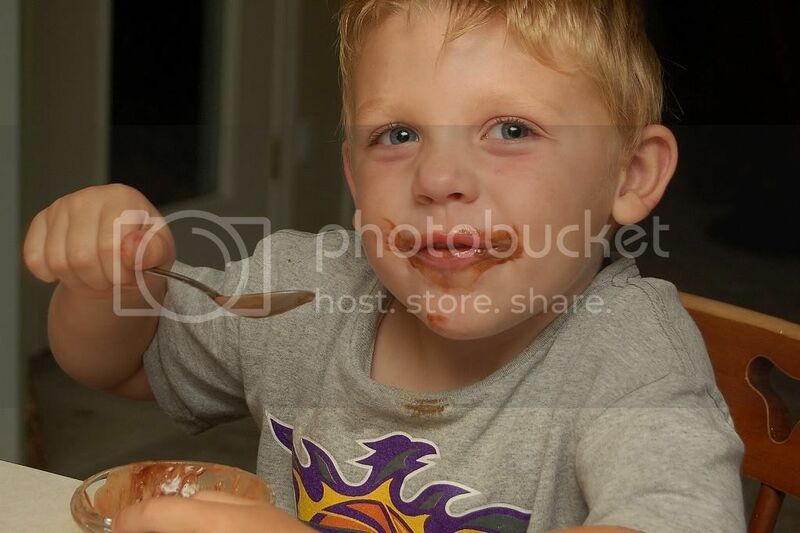 Your little boy is too cute eating the ice cream. Your variation sounds fantastic and I like the fudge sauce too. Too bad your tall man doesn't get to indulge this week. Love the pic of your taste tester!! Adding mint also sounds like a great idea. Yum! A great summer treat. Your Boy is so cute. Such a good boy to taste test. You definitely can't go wrong adding hot fudge sauce. =) I put green mint bits in mine too; it was very yummy. I really wanted to add mint, but I used coconut milk as a base, and I just didn't think it would work. Maybe next time! omg that sounds amazing! Love your photo of the little guy! He is so cute! Well, I am glad you cannot leave it alone. Chocolate and mint sounds perfect. 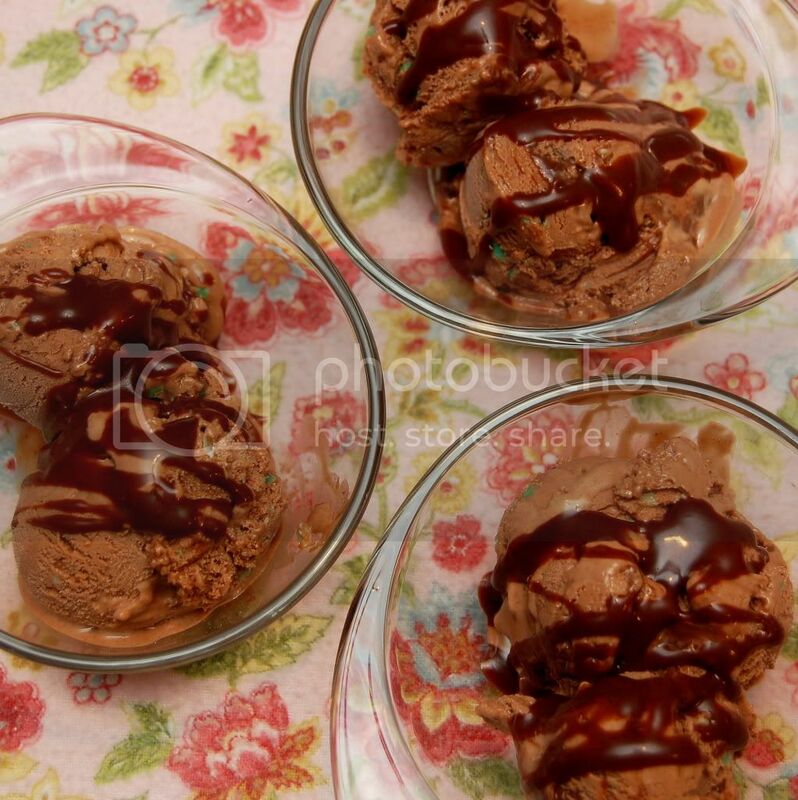 So much you can do with choco ice cream. picture of your tall man says it all! mmm! This ice cream sounds amazing! Just came across your site, very cute! What a gorgeous photo! The "model" really made the shot!